Robert Varady is interim director of the Udall Center for Studies in Public Policy at The University of Arizona. He also is a research professor of environmental policy at the Udall Center, research professor of arid lands studies in the School of Natural Resources and the Environment, and adjunct professor in the Department of Hydrology and Water Resources. Bob obtained his Ph.D. in 1981 in modern history from The University of Arizona, and holds M.S. and B.S. degrees in mathematics from NYU-Poly/Polytechnic Institute of NYU and the City College of New York, respectively. At the Udall Center since 1989, Bob’s work mostly has addressed environmental and water-related governance and policy in arid regions, with an emphasis on transboundary issues, especially along the U.S.-Mexico border. He spent a sabbatical year (2003-04) in Paris at UNESCO’s International Hydrological Programme, studying the history, evolution, and significance of global water initiatives. In a subsequent sabbatical in 2010-11, he investigated transboundary aquifer governance. Relatedly, he has been a consultant to UNESCO and FAO on a GEF (Global Environmental Facility)-funded global groundwater governance project and in that capacity is lead author of a paper on global groundwater policy; and is consulting with UNESCO on its Science Diplomacy for Water Security initiative. For the LRF International Water Security Network, Bob is principal investigator for Work Package 3, “Strengthening Transboundary Water Security: Adaptive Management to Reduce Climate-Change Vulnerability.” This set of activities will be undertaken by the University of Arizona and the AQUASEC Center of Excellence for Water Security in the Arid Americas. 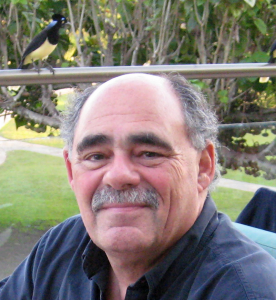 Bob brings to this project his expertise in transboundary resources management and climate-information policy, as well as his involvement with stakeholder-driven research and science-policy dialogues, and his broad international experience. Bob is past president of the International Water History Association (IWHA). He has co-edited ten books, monographs, digests, and journal special issues; and published more than 100 essays on water and environmental governance, policy, and history; agricultural development; information management; and transportation systems. He also has directed environmental and agricultural projects in South Asia, the Middle East, and West Africa.